The Asian tsunami in December 2004 severely affected people in coastal regions all around the Indian Ocean. 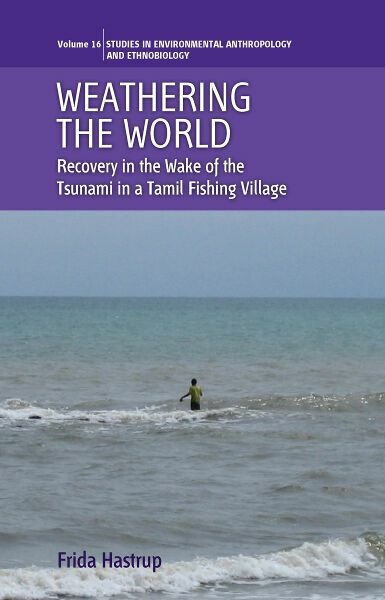 This book provides the first in-depth ethnography of the disaster and its effects on a fishing village in Tamil Nadu, India. The author explores how the villagers have lived with the tsunami in the years succeeding it and actively worked to gradually regain a sense of certainty and confidence in their environment in the face of disempowering disaster. What appears is a remarkable local recovery process in which the survivors have interwoven the tsunami and the everyday in a series of subtle practices and theorisations, resulting in a complex and continuous recreation of village life. By showing the composite nature of the tsunami as an event, the book adds new theoretical insight into the anthropology of natural disaster and recovery. Frida Hastrup is a postdoctoral fellow at the Department of Anthropology, University of Copenhagen. She holds a Ph.D. in anthropology from the University of Copenhagen, and has conducted long-term fieldwork in South India. Her current research addresses local responses to environmental changes in the Bay of Bengal area, with a specific focus on flooding, cyclones and coastal erosion.